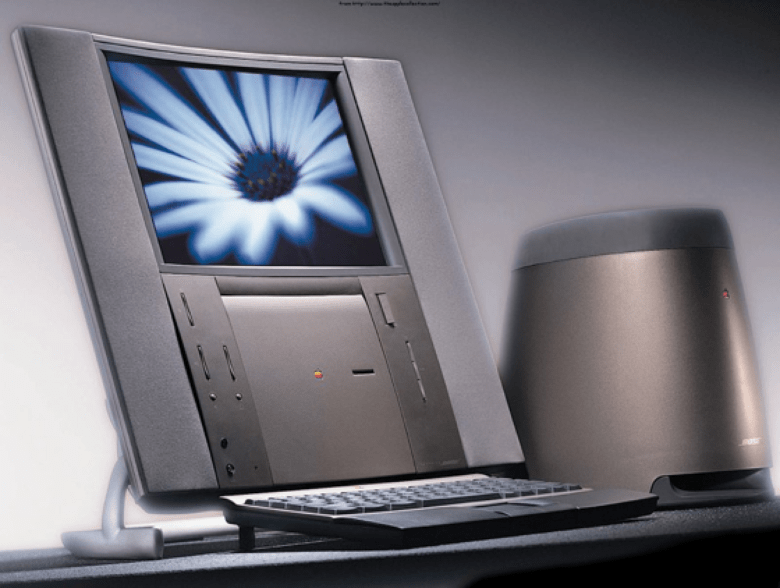 The Twentieth Anniversary Mac offered a glimpse of the future. March 20, 1997: Apple launches its Twentieth Anniversary Macintosh, a futuristic, special-edition Mac that’s ahead of its time in every way. Not part of any established Mac line, it brings a look (and a price!) unlike anything else available. And yet the Twentieth Anniversary Macintosh promptly bombs. Today, it’s a collector’s piece. Somewhat confusingly, the Twentieth Anniversary Macintosh didn’t actually represent the 20th anniversary of the Mac. (That milestone passed in 2004 with very little fanfare from Apple.) Instead, the innovative Mac marked 20 years since the 1977 incorporation of Apple. With the Twentieth Anniversary Macintosh, Apple easily could have looked to the past and built a Mac that paid tribute to the look of the original Macintosh 128K. 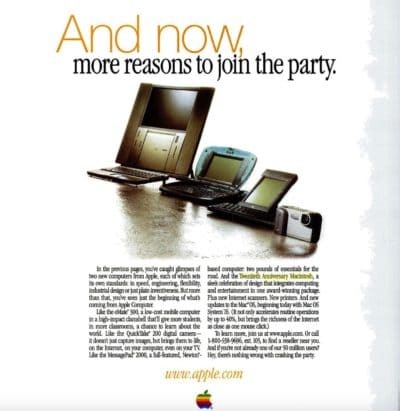 In some ways, this would have made perfect sense in the “bad old days” of the 1990s, when Apple was effectively selling to a small but devoted group of Mac addicts. Instead, Apple boldly did the opposite, building a computer that looked like it came from the future. The Twentieth Anniversary Mac was the first flatscreen Mac in history, with a design that massively predated today’s gorgeous iMacs. As with the flatscreen monitor, the Twentieth Anniversary Macintosh embraced the future by aiming to be a full multimedia machine. It boasted an integrated TV/FM radio system, S-video input and a custom sound system designed by Bose. From a visual perspective, the weirdest thing about the Twentieth Anniversary Macintosh is its CD drive. Unlike the almost-invisible slots of later Macs, the CD drive on the Twentieth Anniversary Macintosh is a front-on vertical square that dominates the front of the machine. The Twentieth Anniversary Mac looked like no Mac before. In keeping with the theme of looking to the future, the Twentieth Anniversary Macintosh also signaled a change inside Apple. Blaming the company’s dysfunctional culture, head designer Robert Brunner quit Apple shortly before the Twentieth Anniversary Macintosh came to market. That cleared the way for Jony Ive — who worked as a designer on the project — to rise through the ranks. The Twentieth Anniversary Macintosh was one of the first computers to get started within Apple’s design group, rather than its engineering department. Given Ive’s lofty position within Apple today, this has become standard practice. But that certainly wasn’t the case in the mid-1990s. The Twentieth Anniversary Mac arrived as Apple went through enormous changes, with former CEO Gil Amelio stepping down and Steve Jobs rejoining the company as part of its NeXT acquisition. Steve Wozniak came back as an adviser, too. For a short period of time, 1997 really was like 1977 again. Co-founders Jobs and Woz briefly played a bigger role in Apple than they had in years. Unfortunately, the Twentieth Anniversary Macintosh (like another of my favorite Macs, the Power Mac G4 Cube) failed completely at the box office. When it launched, the TAM cost $9,000 (roughly $13,600 today). That price tag made it totally unaffordable to the average consumer (let alone college students). In the end, Apple sold just a few thousand units. As with the battles between Jobs and Jef Raskin over the original Mac, disagreement arose over whether the Twentieth Anniversary Macintosh should be a regular computer priced for the masses, or a pricey special edition — which is what the marketing department wanted. The marketers won out, and the Twentieth Anniversary Mac floundered as a result. For what it’s worth, if you did buy an early Twentieth Anniversary Macintosh, you enjoyed an experience like no other. Forget waiting in line at the store. Apple delivered the Twentieth Anniversary Macs to buyers’ homes via limo. A man in a tuxedo would set up the high-end machines. Apple eventually chopped the price of the Twentieth Anniversary Macintosh to just $2,000, before discontinuing it in March 1998. It never caught on with consumers, although it did win design awards. The unique computer also popped up in pop culture. 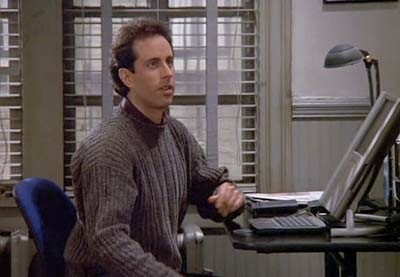 It served as the Mac in Jerry’s apartment in the final season of Seinfeld. And Alfred Pennyworth used a TAM in the terrible 1997 movie Batman & Robin. If you’re looking for a Mac that bridges the gap between the doomed experimentalism of Apple in the 1990s and the company Apple eventually morphed into, the utterly unique Twentieth Anniversary Macintosh is the perfect machine. Just don’t expect to easily find one going cheap on eBay.